If you're surfing in water that is between 58F and 68F degrees (14C-19C degrees), cool wax is for you! 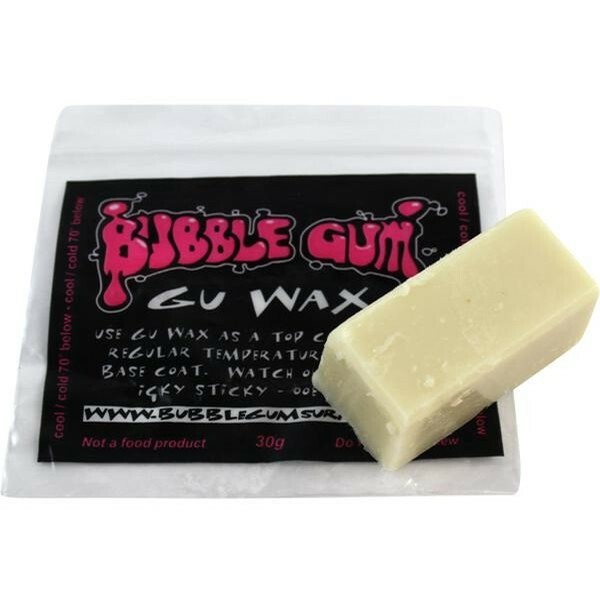 This semi-soft Bubble Gum GU 70 Degrees or Below Surf Wax will keep the wax from melting off your board in warmer temps. Made with a tried-and-true formula, it's slip proof, easy to apply, and won't melt off. Take your skills to the next level with the premier surf wax from Bubble Gum. Stay cool!